Former South Korean President to Pay 24 years for Corruption ! 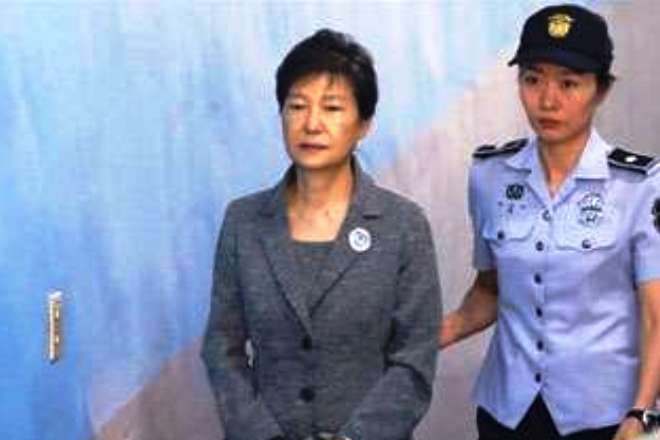 Park Geun-hye, former South Korean president having found guilty of corruption was sentenced to 24 years in prison by the Seoul Central District Court. She was found guilty of several corruption charges, abuse of power and coercion in a verdict issued on Friday. She was also fined $16m. Park, 66, was accused during the trial for collude with a friend, Choi Soon-sil, and a former presidential aide, in pressuring big businesses to donate to two foundations set up to back her policy initiatives. Park Guen was also charged for soliciting bribes from the head of the Samsung Group for government favours. She was acquitted in at least two of the charges, including abuse of power relating to forcing Hyundai automobile company to run ads for the company owned by Choi.